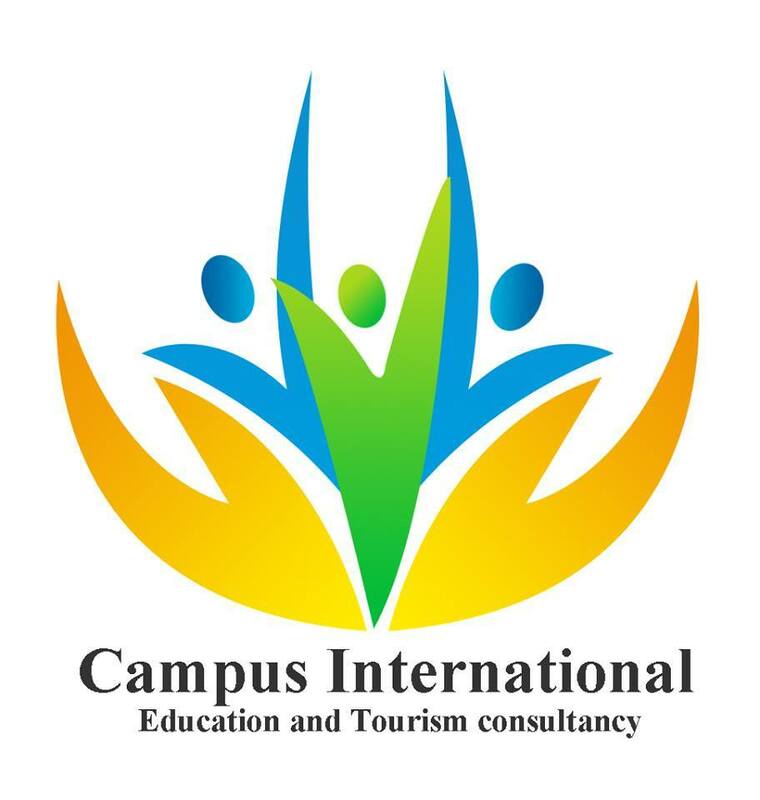 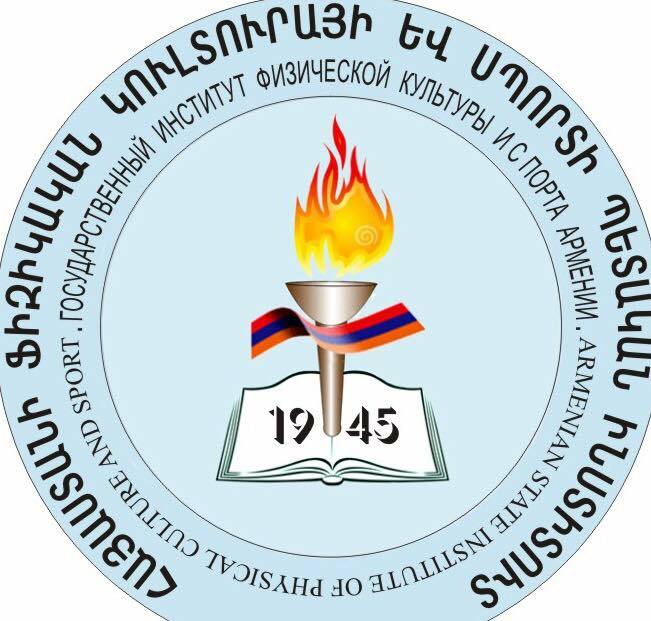 Every year, the University organizes lessons, commemorative events dedicated to the anniversary of the Armenian Genocide, the history of the Armenian Question and the Armenian Genocide recognition process. 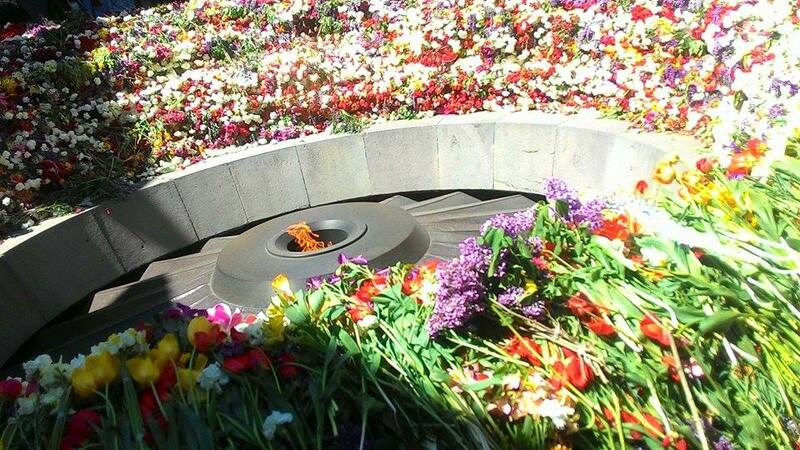 This year was not an exception. 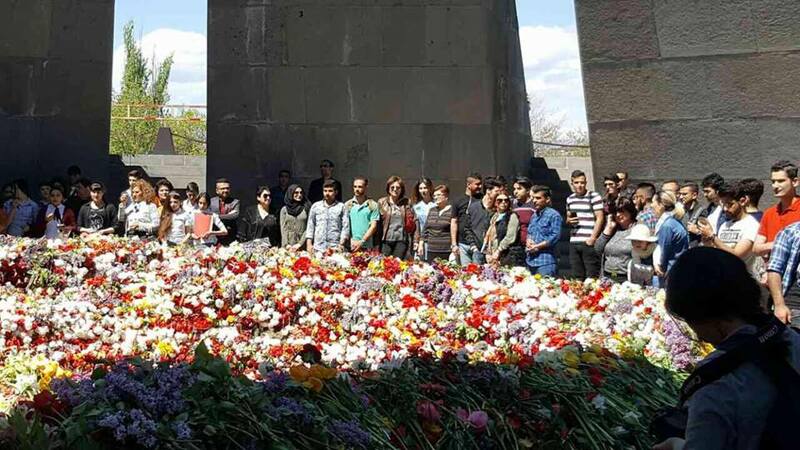 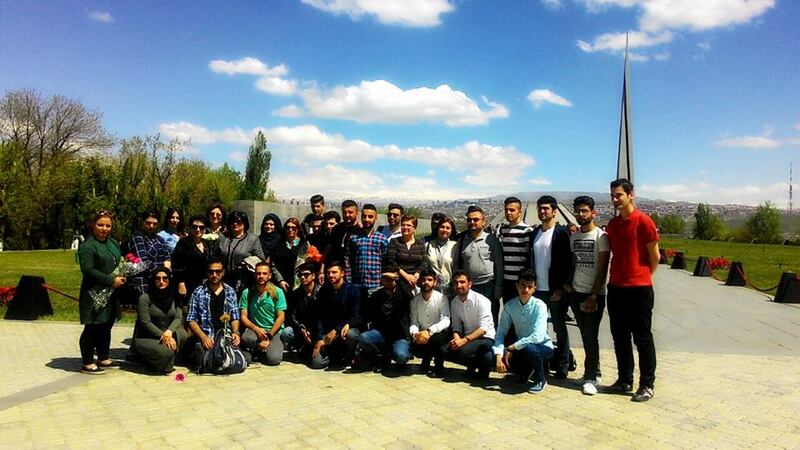 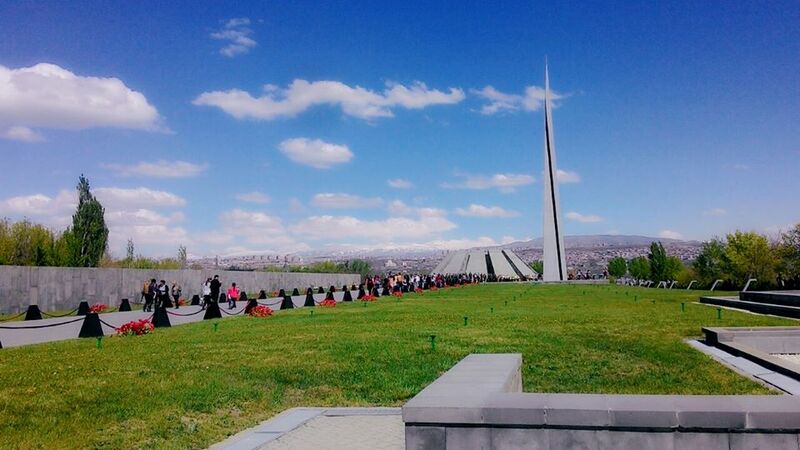 University students visited Tsitsernakaberd and paid tribute to Armenian Genocide 1.5 million victims, assuring the world that the tragedy of the Armenian people will not be forgotten until the world recognizes the greatest crime of the 20th century. 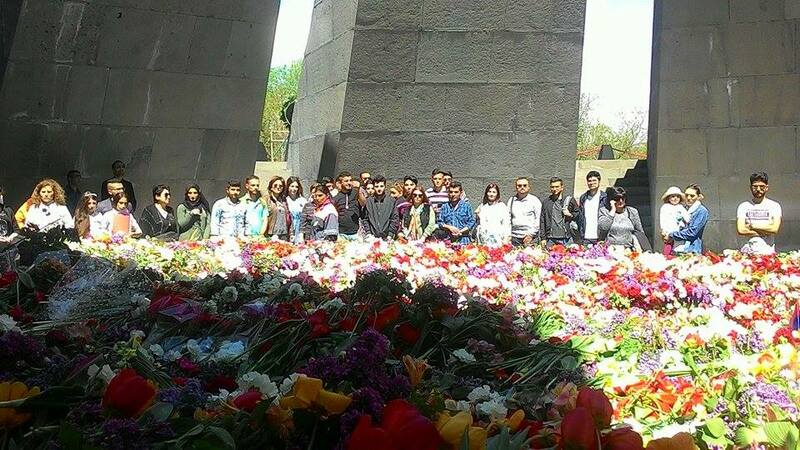 Students put flowers at the memorial and bowed in silence in memory of the holy martyrs. 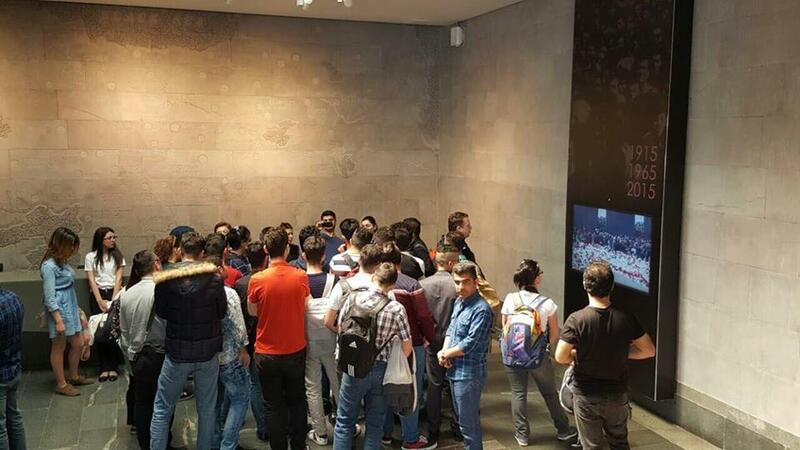 They also visited the Armenian Genocide Museum-Institute, got acquainted with the documents ensuring the Armenian Genocide history and made notes in the Memory book.